Hotel revenue is closely tied to quality customer service and experience. In the hospitality industry, a guest's experience is determined by the service they get during their stay. ItÂ’s no wonder that one of the latest emerging trends in hospitality is using chatbots to provide guests with everything they need to enjoy their stay. Hotel revenue is closely tied to quality customer service and experience. In the hospitality industry, a guest&apos;s experience is determined by the service they get during their stay. Its no wonder that one of the latest emerging trends in hospitality is using chatbots to provide guests with everything they need to enjoy their stay. Well, technological standards have changed very much and an average guests needs are quite different today than 20 years ago, especially with newer generations getting accustomed to the Internet as a big part of their lives. Chatbot systems handle all the work before and during the stay of their guests. 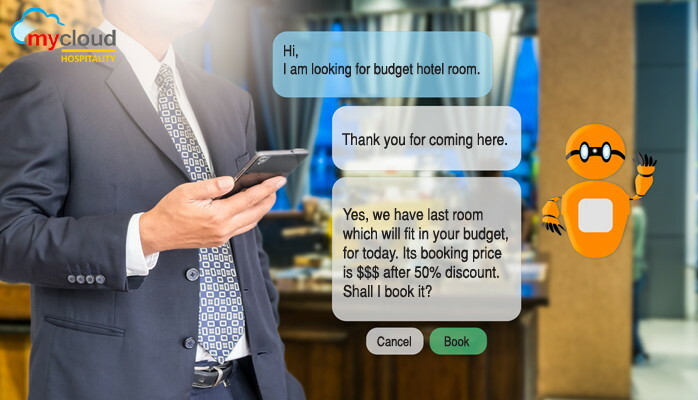 Chatbots answer questions, collect data (Integration with a hotel software can help in gathering essential data about the hotels guests), generate revenue and allow guests to purchase, book, and reserve hotel services through a simple app. They augment and automate the guests experience by allowing them to communicate their requests, demands, and needs quickly, easily, and effectively. Many guests feel embarrassed to ask particular questions at the reception but will use a chatbot to ask those questions. They find it easier to open up about such things that way. That&apos;s a perfect opportunity for upselling. Based on common keywords, hotels can offer other products and services to guests in a natural and fluent way. That&apos;s the most efficient way to use chatbots to not only drive revenue but to also improve the guests experience and satisfaction by directly answering their requests and needs. Knowing their commonalities, preferred activities, and priorities gives hotels an opportunity to make their stay more pleasurable and enjoyable. Hotels can easily find out if their services measure up to the guests satisfaction and expectations while managing each situation more effectively. Deepak is responsible for marketing and positioning of "mycloud" platform and is a veteran in the hotel software industry with over 25 years&apos; experience giving him a strong understanding of the product requirements in the industry. He has very rare mix of working in operations of various hotels and chains for over 10 years and then co-founding a software product and service company, servicing 5 star hotels and chains for 14 years. 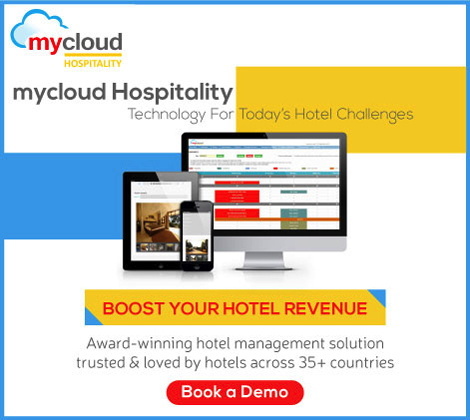 mycloud (award-winning hotel software) has been developed by Prologic First, an independent, private company with over a decade and halfs experience delivering end to end technology solutions to the hospitality industry across the UK, Asia, Africa and the Middle East. Prologic Firsts WISH brand is used across 30 plus countries by over 1,600 clients representing the whos who of the industry. Some of our most popular and most adopted solutions like WISH, Touché & Web ProlIFIC. Our technological leaders and best in class solutions in the market place, offering some of the most advanced features to hospitality professionals.